Giving gifts is a big part of the holiday season. Deciding on the perfect present, rushing to the store to get it, and then wrapping it up just in time to gift is the thrill of the holidays. 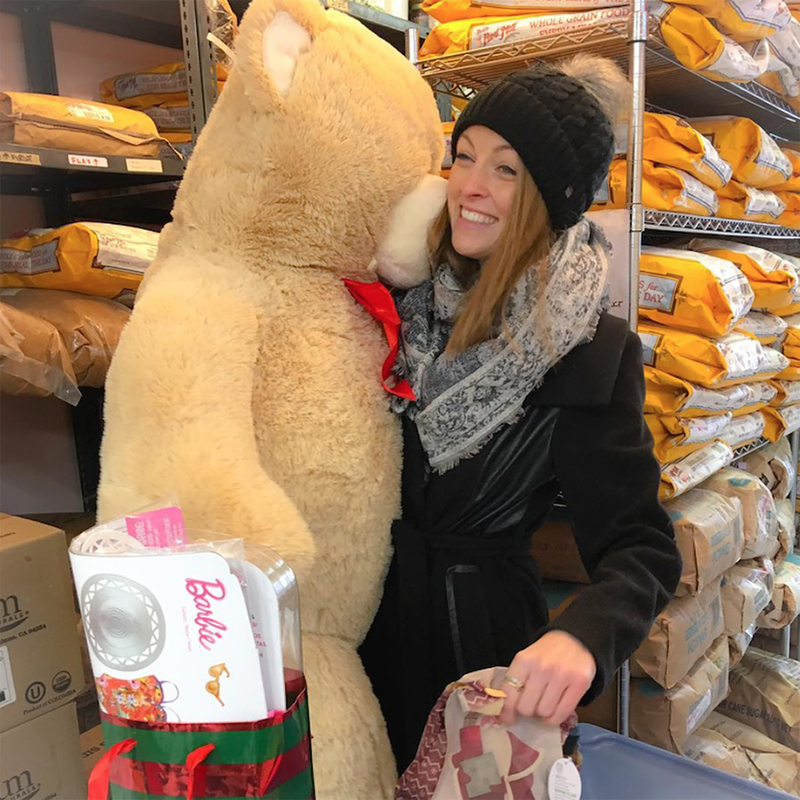 But, giving gifts isn’t all that we should be thinking about – being grateful and helping others should be especially important during the holidays. Not everyone on your list has to receive a gift, after all, it’s the thought that counts. Many people will appreciate receiving a donation in their name, not to mention you’ll be helping those who are in need. Here are some of our favourite charities to donate to all year round, but especially during the holiday season. Halton Women’s Place is one of the charities we donate to most often. They focus on providing shelter and help for abused women and their children. They are dedicated to ending violence against women and children and we love supporting them. Lately we’ve been bringing stuffed animals, toys, clothes, and goods from the bakeshop to donate. 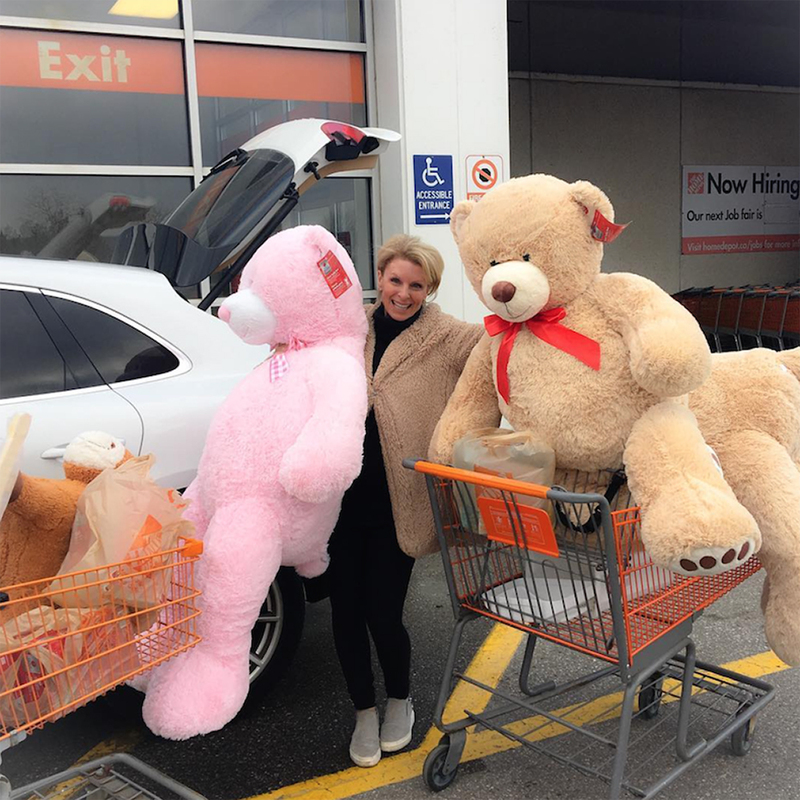 Just the other day we picked up some giant bears from Home Depot and had such a fun time bringing them over. The shelter is especially busy this time of year and it’s important to remember that the women and children there need our help. There are many ways you can help at Halton Women’s Place. If you are looking to make a donation, they keep an updated list on their website of items they need. You can check out their site for ways to give and for resources on how to help a friend or loved one in an abusive situation. Farm Sanctuary is a escape where rescued animals can live and flourish, and the public is able to visit and watch them live peacefully together. After I visited Farm Sanctuary in 2008, I gave up eating animal products, and finally felt free. I had been carrying a weight on my shoulders of the pain and suffering that happens in the factory farming industry. Ever since then I have loved Farm Sanctuary and I’ve been an ongoing supporter of their organization. There are lots of ways that you can get involved at Farm Sanctuary. You can make a donation, adopt an animal, volunteer, and much more. Check out their site for more information. Because I am a Girl is a social movement that’s helping us claim a brighter and safer future for girls in the developing world. Regardless of location or means, all girls have the right to be educated, nourished, and protected. Most importantly, girls rights are human rights, and we need to make sure everyone has access to those rights. Helping and empowering a girl doesn’t mean you’re just helping her. It’s proven that investing in a girl is key to eliminating poverty. When a girl is educated, nourished, and protected, she shares that knowledge with her family and friends. This knowledge then can change the face of her community and nation. Here in Canada there are lots of ways that you can help Because I am a Girl break the cycle of poverty in the developing world. You can sponsor a child or a community, make a simple donation, and much more. Check out their site for more information. The Stop Community Food Centre began in the 1970s in the West end of Toronto. Since then, The Stop has been helping with hunger, health, and social change. With food at its core, The Community Food Centre model offers community kitchens, gardens, food markets, and much more for those in need. It has been proven that food can help to transform the health and quality of life of low-income communities. Community food centres using this model work to provide food and transformation to these communities, and bring people together to grow, cook, and share. You can help by volunteering at a centre or donating to the organization. Check out their site for more information. The Kerr Street Mission helps low income and at risk families and youth in the city of Oakville. They provide a centre for people to gather and find help. They offer many different programs and services from community meals, to prenatal classes, to clubs for children and youth. The Kerr Street Mission is always looking for help from the community. You can make a traditional donation or give food to fill their pantry. They also have a number of different programs for which you can volunteer your time, like their family, children, and youth programs. Maybe all you have time for is an hour or two a week and that is perfect Check out their site for more information. Don’t feel overwhelmed thinking that they want a lot from you. All you need to do is bring your heart. It is such an amazing way to be of service and I promise that when you embark down this path of helping and being of service, your life begins to shine in ways you never dreamt possible. No matter what charity or organization you choose, giving to a good cause is always something to consider during the holidays. Not only does it make a great gift, but helping others will leave you feeling humbled and happy.